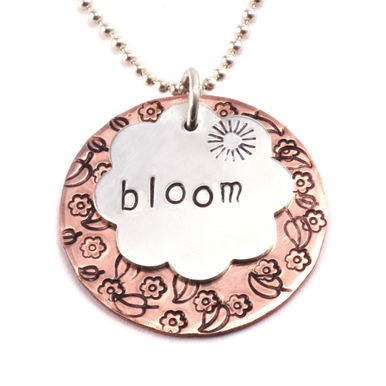 These necklaces are a simple way to show off some big accomplishments. We layered in a Sterling Bird Charm to show off the heights that can be reached through hard work and diligence. Our other pendant has a stamped Nautical Star evidencing the shining light that is within. 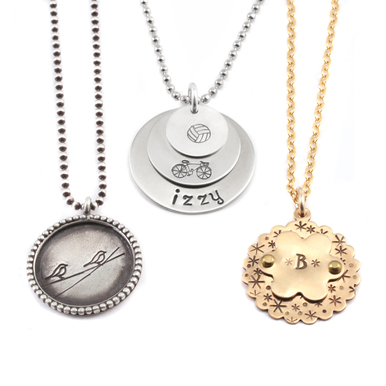 Add different personalized stamps and charms to your pendants for a perfect graduation gift. USA Made Block Uppercase Letter & Number Stamp Set 3/32" (2.4mm) - $77.00 - We used this set for the numbers so we could stamp the year. Xuron Maxi Shear Flush Cutter - $18.95 - we snipped the one side of the bird charm with these cutters. That way the bird hung in line with the stamping. Cut 2, Half Round File - High Quality - $44.05 - We filed the bird wing that we shortened with this file, to make sure everything was nice and smooth.